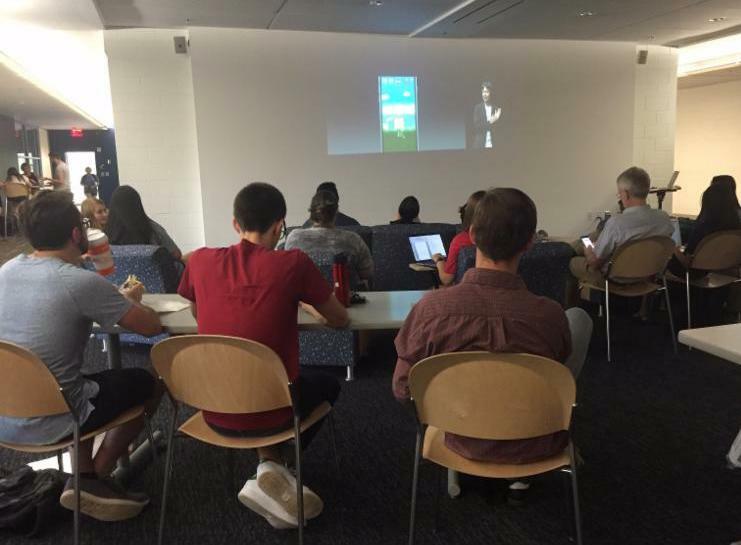 Earlier this month, dozens of students gathered at the NMI to watch Apple unveil its new line of gadgets. The students actively listened as they critiqued the new products, taking note of design highlights and room for improvement. The ongoing discussion during the event shaped and stimulated students’ opinions on design, which resulted in a learning experience that was unique, captivating and all around fun. There was heated debate about the absent headphone jack, a sparked inspiration to go hiking with the new Apple Watch and a little drooling over the new iPhone’s dual cameras. Nevertheless, the Apple viewing party was hit.